MARC commuter trains have resumed normal service on the Camden Line after a man was struck and killed on the tracks. The Maryland Transit Administration said trains were holding for several hours Monday morning. Service returned to normal about 10:45 a.m.
Ascenscion Guevara, 41, of Beltsville, was hit just south of the Muirkirk station in the 11600 block of Baltimore Avenue. 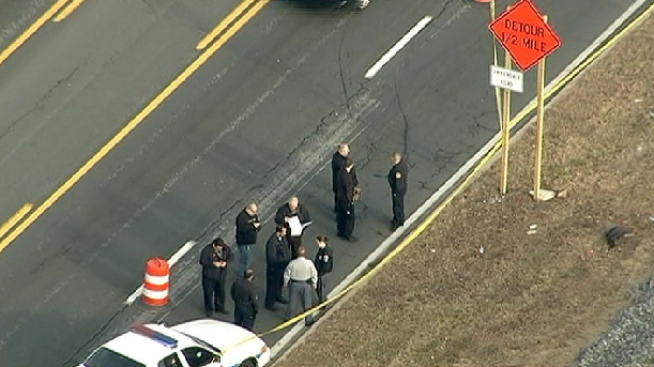 Investigators believe the man was attempting to cross the railroad tracks to go to a coffee shop when he was struck by a southbound train, Prince George's County Police said. A recent News4 I-Team report found the area is a hot spot for trespassers illegally crossing the CSX-owned tracks. There has been a series of injuries there in recent years. Metro continued to honor tickets Monday afternoon, and the Camden Line ran on an "S" schedule. The following trains will operate from Washington: trains 846, 848, 852 and 856; from Baltimore, trains 853 and 857 will run.